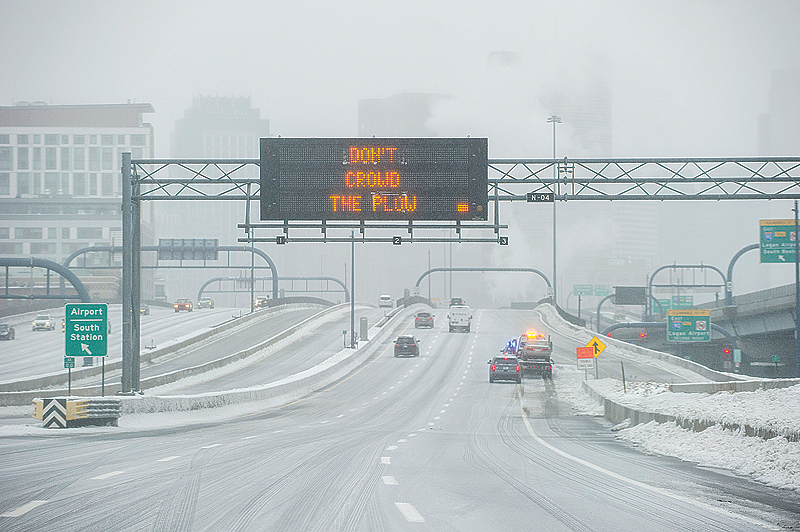 BOSTON: Winter winds brought extreme cold and ice-slicked roads to the Midwestern and Eastern United States yesterday, with the US Martin Luther King Jr Day holiday and an ongoing government shutdown allowing many to heed official advice to stay indoors. The arctic blast of frigid air has followed a January storm that dumped more than a foot of snow and sleet across the Northeast, which started melting Sunday. Temperatures fell to single-digits Fahrenheit (about -20 C) from New York City to Boston and through northern New England and froze melting snow late on Sunday and early Monday, said Marc Chenard at the National Weather Service’s Weather Prediction Center in College Park, Maryland. Winds up to 30 to 40 miles per hour (48-64 kph) added possibly deadly wind chill. The NWS issued wind-chill advisories and warnings for more than 10 states, from North Dakota and to East Coast metropolitan centers. High temperatures for Monday are forecast at 17 Fahrenheit (minus 8 Celsius) for New York City and 12 F (minus 11 C) for Boston. Many Americans had the day off work on Monday, either because of the holiday or because they are among the furloughed federal government workers who find themselves in the longest shutdown in U.S. history, caused by an impasse over funding U.S. President Donald Trump’s plans to build more barriers on the U.S.-Mexico border.